If you’re reading this article, you are likely part of an elite group of longevity enthusiasts who take extraordinary steps to stave off aging and premature death. Life Extension® supporters highly value the quality standards of the nutrient formulationsthey rely on to support their health. One reason for this consumer confidence is the obsessionof Life Extension’s founders and board members to significantly extend healthy human life spans. Life Extension’s success in producing superior quality nutritional supplements that provide clinically meaningful effects is the result of a rigorous, formalized system of checks and balances. This process begins before raw materials for product formulation are acquired. Life Extension utilizes independent testing labs to routinely analyze raw materials for quality and consistently submits finished products to third-party testing organizations to confirm and document product potency and purity. The Life Extension Quality Control program consists of scientific analysis, testing, and monitoring all the way from the original raw material sourcing to the finished, packaged product that exceeds the FDA’s standards. This article details how this relentless commitment to quality is carried out. Life Extension’s dietary supplements are manufactured under rigorous standards for quality control. 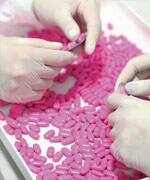 These formulations meet, and often exceed, predefined industry standards for product quality. “Our suppliers and contract manufacturers are constantly evaluated on a variety of parameters, including quality performance,” says Life Extension’s Vice President of Quality Assurance/Quality Control, George Stevens. And just as Life Extension closely monitors and tests the potency of standardized botanical extracts slated for manufacturing products, the organization’s fulfillment facility, as well as quality assurance and quality control (QA/QC) procedures, are evaluated regularly by NSF International, an organization that provides independent, third-party certification programs on a variety of aspects of dietary supplement production, including certification in good manufacturing practices. NSF International has certified that Life Extension’s QA/QC procedures consistently meet the highest standards of good practices for quality assurance and control. Life Extension’s fulfillment facility was recently certified for current Good Manufacturing Practices based on a demanding, two-day audit conducted by NSF International that included an evaluation of Life Extension’s warehouse and distribution center, including facility cleanliness and sanitation, as well as various quality systems such as complaint handling and investigations, product returns, training, deviation management, and product recall handling. The NSF International registration is widely recognized as an objective and exemplary seal of approval that signifies that the company has met or exceeded current Good Manufacturing Practices requirements and industry standards and best practices for quality. ConsumerLab is a leading provider of information to help consumers and health care professionals identify the best quality health and nutrition products. Products are tested for identity (i.e. does the product meet recognized standards of identity and does the product meet the level of quality claimed on the label? ), strength (i.e. does the product contain the amount of ingredient claimed on the label? ), purity (i.e. is the product free of specified contaminants? ), and disintegration (i.e. does the product break apart properly so that it may be used by the body?). “Life Extension has voluntarily participated in the ConsumerLab program for years,” says George Stevens. “This is an independent organization that tests various classes of nutrition products for potency and other issues related to quality. Life Extension consistently meets ConsumerLab standards and has been recognized for its outstanding purity and quality. The International Fish Oil Standards Program is another voluntary program in which Life Extension has participated for some time. “The International Fish Oil Standards Program is the only third-party testing and certification for omega-3 fish oil products in the world,” says Stevens. “Under the program, finished products are analyzed to the highest industry standards for contaminants, stability, and potency. These results are then made available to consumers through their website (www.nutrasource.ca/ifos) on a per-lot basis.” The International Fish Oil Standards Program is the only program that tests fish oil products by specific batch and lot number to make sure that they do not contain harmful levels of contaminants. Recently, the organization has gone a step further and instituted additional tests for radiation. Life Extension consistently receives the highest world-wide five-star rating by the International Fish Oil Standards Program. From raw materials to the final packaging, Life Extension utilizes the highest quality control procedures to ensure products meet exacting standards for potency and purity. Life Extension products have been consistently recognized by ConsumerLab, the leading provider of information to help consumers and health care professionals identify the best quality health and nutrition products, for their outstanding purity and quality. 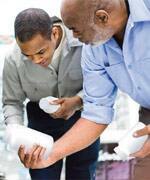 The International Fish Oil Standards Program is a volunteer program that tests and certifies fish oil products. Life Extension consistently receives the highest worldwide five-star rating. Life Extension consistently reviews advanced processes and procedures to ensure the most up-to-date strategies and methods are utilized. Life Extension also strongly emphasizes the management and evaluation of its outside providers and frequently conducts detailed on-site audits of new and existing suppliers. 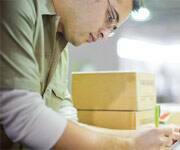 Quality control continues even after the final finished and packaged products are received by Life Extension. This has been accomplished, says Stevens, by “proactively defining and managing” quality systems internally with an emphasis on qualification of materials and suppliers, mandating meticulous facility cleanliness, and insisting on rigorous finished goods specification and testing programs. The difference is Life Extension’s well-documented, procedure-driven, quality control program that is given the highest possible priority throughout the company—from raw material sourcing and ongoing monitoring to finished product quarantine and lot testing. “We follow the science of nutritional excellence, typically basing product concept and dosing on published research studies,” explains Stevens. 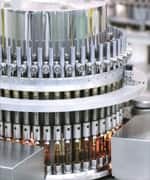 Life Extension’s success in producing superior quality nutraceuticals that consistently exceed both industry and government standards and provide clinically effective results is the result of a formalized system of checks and balances that begins even before raw materials are acquired and runs through to the testing of every lot of packaged, finished products. Even after the product is sold, the company evaluates and tracks any returns received and invites customer feedback. “We consistently evaluate and investigate consumer feedback on our products. If we see an opportunity to improve, we implement it,” says Stevens. Life Extension also utilizes the Supplier Management and External Audit Program, which places strong emphasis on the management and evaluation of outside providers—including contract manufacturers and packagers, contract laboratories, and raw material suppliers. This evaluation process consists of an assessment of completed regulatory questionnaires as well as an aggressive on-site audit program based on our stringent criteria for manufacturing, packaging, labeling, and holding dietary supplement products in the United States. Items of special interest include cleaning and sanitation procedures, pest control, manufacturing and packaging controls, testing, training, and documentation practices. “In the early phases of product conception, before consideration for use, any new raw material will be rolled into the qualification testing program,” says Stevens. “This program uses a variety of advanced technological methods to test material identity and potency, as well as the absence of contaminants. Identification of botanical ingredients is given the highest level of scrutiny, using high performance thin-layer chromatography and other evaluative techniques to ensure there has been no substitution or adulteration of these compounds. Botanical ingredients are also rigorously screened for pesticides. “Because botanicals are natural products, quality, potency, and ingredients can vary widely. We perform in-depth testing to ensure that the highest quality botanicals are used in our products for our customers’ health. Each year, Life Extension conducts frequent detailed on-site audits of new suppliers and existing suppliers—including on-site evaluations of the company’s top contract manufacturers, packagers, and laboratories. “These ongoing supplier management activities are critical to ensure that manufacturers continue to follow current Good Manufacturing Practices and provide the highest quality products to our customers,” Stevens says. This aggressive audit schedule is necessary to ensure the highest level of current Good Manufacturing Practices compliance. The combination of NSF International registration along with Life Extension’s on-site inspections helps ensure that the products manufactured on Life Extension’s behalf have been produced in accordance with high standards. Throughout the year, Life Extension introduces new ingredients to address specific health needs. What consumers don’t see are the many ingredients that are REJECTED because the raw material fails analytical testing performed by Life Extension (e.g. a tested material fails to achieve potency standards as claimed by the supplier). In addition, ingredients or products may be rejected because health claims made by the material supplier cannot be substantiated (e.g. a supplier claims an ingredient provides substantial support for HDL cholesterol, but clinical data is lacking and/or preclinical data is suspect). An epidemic practice occurring in the area of male sexual enhancement products is to spike herbal products with prescription erection-inducing PDE5 inhibitor drugs like Viagra®, Levitra® or Cialis®. These adulterated, male sexual health products are increasingly ingested by aging male consumers, who are unknowingly exposed to unknown potencies of drugs that can inflict unwanted side effects. Over the past decade, the FDA has issued alerts warning consumers of potentially dangerous drug adulterants in male sexual health products. These warnings have not pertained to any product Life Extension sells because these drug adulterants are identified ahead of time and the ingredient is REJECTED. When Life Extension is approached by makers of male sexual enhancement formulas, they are flat out told their formula will be assayed to rule out the presence of known sexual enhancement PDE5 inhibitor drugs. Needless to say, if Life Extension test procedures discover the presence of PDE5 inhibitor drug adulterants in sexual enhancement formulas, these formulas are REJECTED. Explaining what happens after a raw material source has been approved, Stevens says: “Once raw materials have been qualified, small-scale pilot batch manufacturing work is conducted. Samples are collected throughout the manufacturing process to be tested at the manufacturer and at a qualified third-party laboratory to ensure that the product is meeting everything stated in the Finished Product Specification Packet. “Final packaging only begins when these tests are completed and approved by our Quality Assurance team,” says Stevens. “An additional series of quality checks are performed during packaging to ensure there are no issues with labels, capsule counts, product seals, or other parameters. And the quality inspections and documentation do not stop when the finished products are received at Life Extension. Those product Certificates of Analysis are made available to Life Extension customers on request. The same inspection rigor is applied to Life Extension’s internal operations as well. The Life Extension Quality Unit maintains a documented system for self-inspections that includes internal audits conducted at the corporate location as well as at the distribution center in Edison, NJ. These internal audits are required annually—but at Life Extension, they are conducted more frequently by choice. Commercial supplement companies sell bottles of pills with varying degrees of quality. A number of once-respected supplement brands have sold out to pharmaceutical behemoths whose financial interests lie in Americans falling ill from degenerative illnesses and requiring loads of outlandishly priced prescription drugs to remain alive. The most popular multivitamin supplements (like Centrum®) are owned by pha Consrmaceutical companies. Other purveyors of supplements have sold out to capital venture firms whose only goal is to find ways to squeeze out more profits, with zero concern for the health of their customers. Life Extension views its supplement formulas as stepping stones towards life spans long enough for humans alive today to access breakthrough medical technologies that will eradicate pathological aging processes. Advanced quality control and quality assurance procedures are utilized by Life Extension to ensure products meet exacting standards for potency and purity. Life Extension takes it a step further and utilizes third-party testing labs to routinely analyze raw materials for quality. Finished products are consistently submitted to third-party testing organizations to confirm and document product potency and purity. I personally subscribe to ConsumerLab.com, their mission is to identify the best quality health and nutritional products through independent testing. You can check them out, they test all the vitamin companies and Life Extension vitamins and supplements always pass their tests. I was surprised with the names of some of the companies that did not pass their tests. If you have questions you can call me. My direct line is 786-478-4200 or send me an email, joe.hammond@HammondLifeExtension.com.